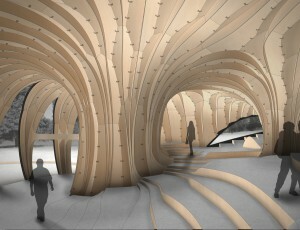 Connecting Intelligence is the Diploma project of Oliver David Krieg, completed in the Summer Semester 2012. Oliver’s project received the Diploma Prize of the Faculty among the 100 projects submitted in this term. 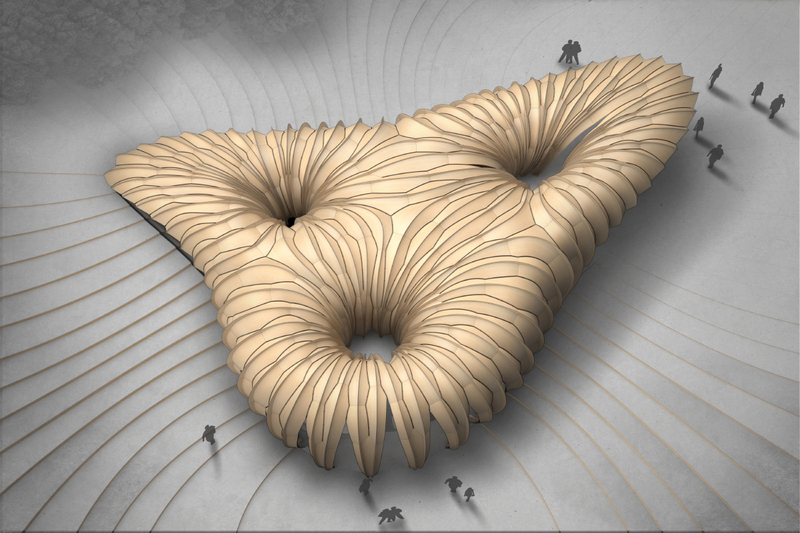 The work was supervised by Prof. Achim Menges of the ICD. 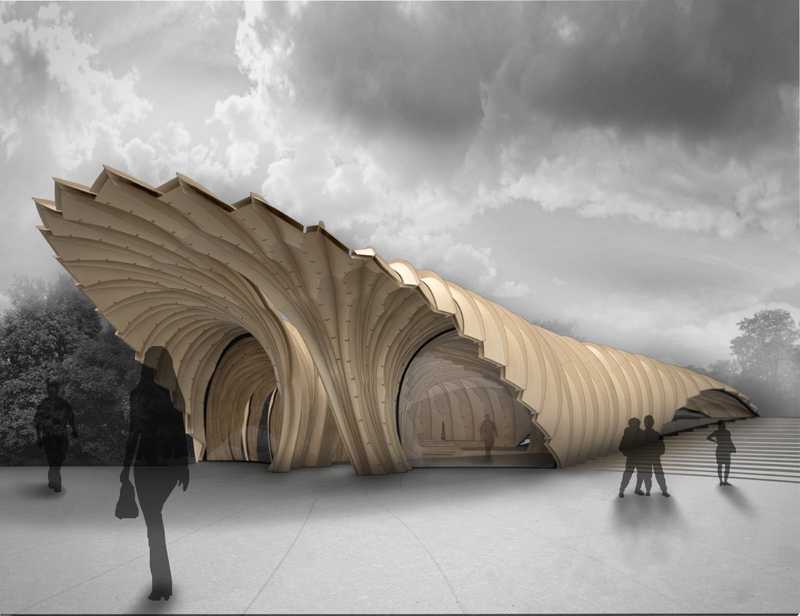 The project aims to investigate both the possibilities and the impact of integrating material behaviour and robotic fabrication in architectural design, using the example of lightweight plywood timber construction. 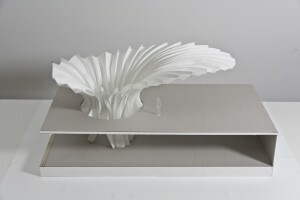 In this process the possibilities of computational and biomimetic design methods for integrated and context oriented design strategies is incorporated in self organising material effects of form finding and the production logic of robotic fabrication. New developments in computational design as well as in digital fabrication are currently leading to a rethinking of architectural design, material science, engineering and fabrication. 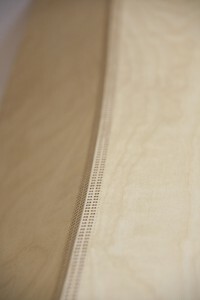 While these processes were separated and detached during the industrialisation, the present development shows that there is yet again the possibility of interweaving them in a particularly performative way through computational design methods. The project aims at showing that novel possibilities of integrating material behaviour and biomimetic design can lead to truly performative architecture when the design process is clearly separated from classical well established form oriented design methods and is instead an open, undetermined and explorative process. 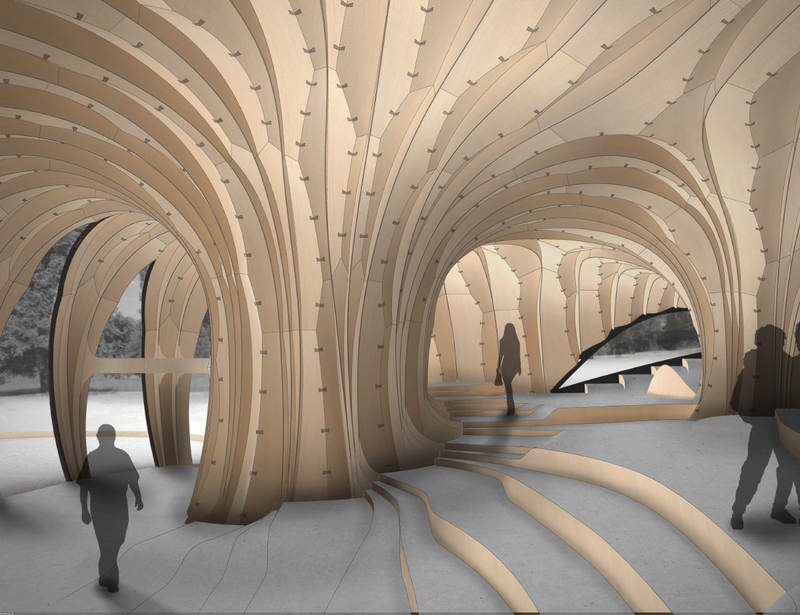 In its first part, the current situation in timber construction and architectural design is analysed in order to gain an overview of their past development and possible research fields. The second part focuses on the use of an industrial robot and its design space for developing geometrically differentiated, curved finger joint connections for planar sheets of plywood, which induce elastic bending through their inherent assembly logic. Subsequently, on the basis of material behaviour and fabrication requirements, a bending active, multi layered material system is being developed, incorporating fabrication and material constraints, as well as structural and architectural demands. 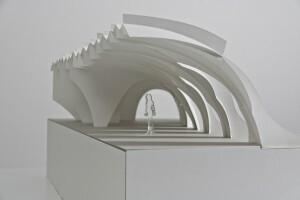 Finally, this leads to the development of a computational design tool showing the performative capacity of the developed material system in an architectural context, as well as of computational design processes in general. The project concludes with a discussion about the potentials of integrated computational design as well as the role of the designer throughout such processes.